Struggling as a wedding photographer when all the info is out there? With the internet at our fingertips, you really can Google any information you need and get answers straight away. Perhaps you type into a search engine “how to book wedding photography clients” and it will come up with millions of free articles offering tips or even courses and programs with the answers you’re after. 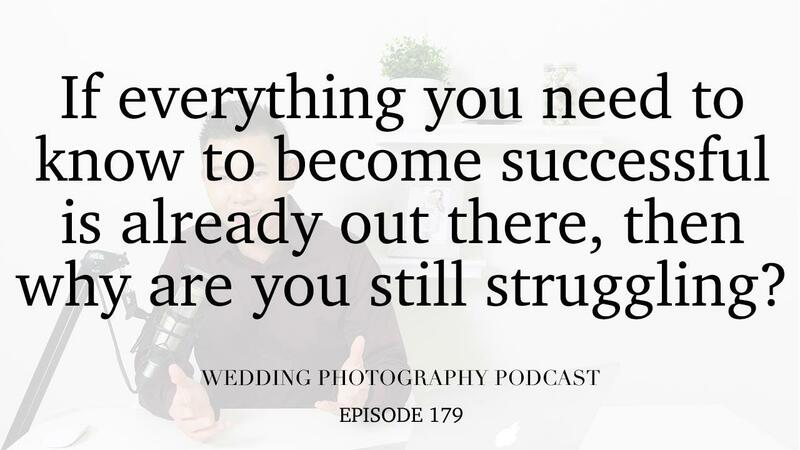 So if everything you need is already out there, why are you still struggling as a wedding photographer? A proven step-by-step approach on how to complete tasks and achieve tangible results. Accountability to ensure you get the work done. A network of like-minded people who are just as committed to achieving success as you are. That’s why in this day and age, you’re not going to cut it as a wedding photographer if you’re just sourcing your information online. You need a coach who’s gone through it all before and can offer you advice, hold you accountable and connect you with others who are in exactly the same boat. Not only will you get the information you need to become successful but the support to ensure you achieve your goals. Looking to become a full-time wedding photographer? Watch my FREE video explaining how I made $150k+ in the second year of my wedding photography business.